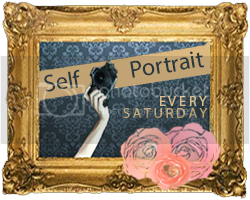 I am back with the Self Portrait Saturday challenge! This is where any time during the week you take a photo of yourself with any camera that you own and share it with us on Saturday. My self portrait this week is entitled ‘Inside the Frame’. No underlining conceptual themes or trick photography involved in this shot. I was getting ready to go to my expat friend’s house for tea and had a few minutes to play around with my camera and the window light while waiting on my sons to get their shoes on. 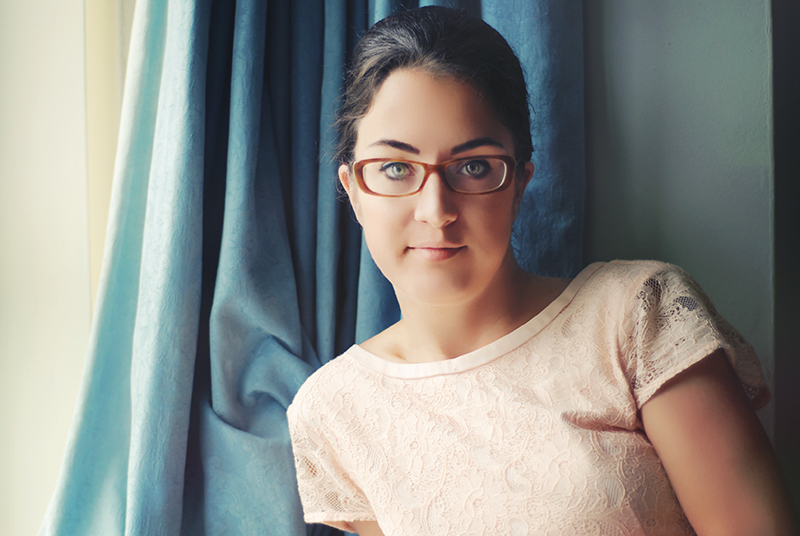 So here I am in my H&M lacy peach dress, my hair back in a chignon, and wearing my brown frames. You normally do not see me wearing my glasses in photographs. 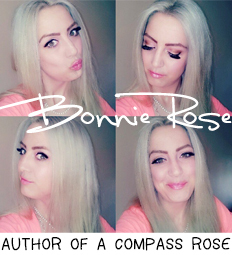 I used to be a girl that loved living life through her variety of colour contacts. However I need a new contacts and have a deep love for my oversized prescription sunglasses. I do not mind being photographed in my glasses and to be fair love the look of me in my frames. However I will be honest with you. I am that girl that quickly grabs the frames off her face and hides them behind her back in a photo op. Eyes are the windows to the soul and sometimes I just want to see that without the distraction of glasses. It is interesting how much different someone can look with our without glasses on and so in lieu of keeping my blog grounded in authenticity here is my self portrait with me wearing my glasses inside the frame. that as a Third Culture Kid it truly speaks to my nomadic nature. “But still the clever north wind was not satisfied. I am a free spirit that feels blown to new places. you wonder if you can ever truly settle down. Where do you think I be in two and a half years from now? Like this self portrait? This was a self portrait I was commissioned to do for Girl Gone International magazine. 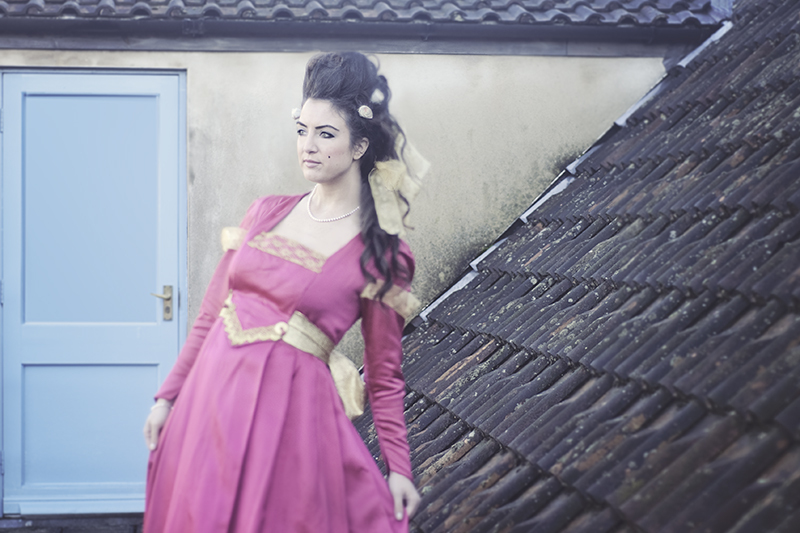 To see the other self portraits I did for the magazine, check out issue two which is out now. Another weekend has begun and with it another Self Portrait Saturday. For today’s Self Portrait I share with you the self portrait entitled ‘From the Wings’. Often times it is easy to feel like I am waiting for something else or something new to begin. Being a Third Culture Kid and living in a highly nomadic world, I am use to a cycle of things ending and new things constantly on the horizon. I believe as a mum too it is easy to feel a bit lost in the shadows taking care of everyone else. It can also be a place of reflection where we seek answers from someone greater and ask for direction towards the brighter future. 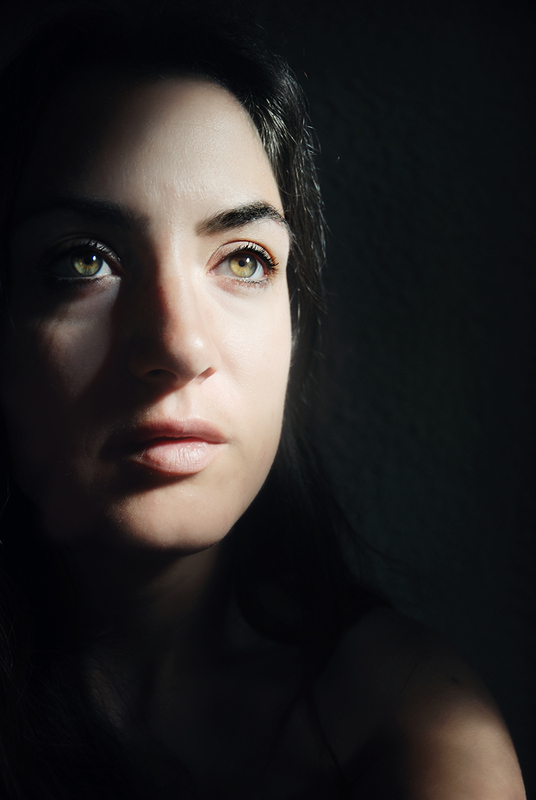 I love playing with different lighting situations and took this portrait looking out the window of our front door. This is a series within the self portraits that I have been wanting to do for some time. I begin with one and the hopes to add to Scarred series through out the Self Portrait Saturday challenge. Life can be hard and we can come out with scars. They can be emotional, physical, internal, and mental. Some can be painful and others as lingering reminders. I have many. The one on my neck is related to many other scars that I have carried since being a few weeks old. I was born six weeks premature and went on to battle necrotizing enterocolitis (NEC), a gastrointestinal disease. I am so glad that I survived with nothing more than scars as a reminder. The way it has been explained to me is that this is where they put in and stitched to hold in place a tube that fed nutrients into my heart. I use to joke as a teenager I had been bitten multiple times by a vampire. It is usually the first scar that people notice and ask me about and why I decided to document it first. Sometimes I feel burdened by the weight of unhealthy self image. Scars that I had no power over can be fussed over and scrutinized by my inner monologue. However this is a reminder of how fragile our bodies are and how blessed and precious are our lives. That in the end we are all beautiful with our scars and all. When you have always moved ever few months or couple of years, you live a life where people are always coming and going. If you are lucky the better ones come back through your life again. In this nomadic world you are constantly the ‘new girl’, introducing yourself all over again, and answering the dreaded question from where you come. From growing up as a third culture kid as a military child overseas it prepared me for the role of a military wife living the island life in the Pacific. Through out it all I have felt like a gypsy being blown by the wind. Being called to far off places and locations I have never been. While yearning for all the places, all the countries, and all the cultures I have taken as my own. It became the fire that fueled our path to move overseas as expats. Somehow on this new path I have reached the realisation that I finally have an anchor. A person who can be my strength when I feel weak. My comfort when I feel lost in the unknown. My support when I lack the confidence. My guard to block out the negative and censor the unwanted cruel words of others. When I can get lost in my head of self doubt and he brings me back and keeps me grounded. When he is with me I do not need to worry about what has been or what could be for we live in the present. Which means so much when you are a girl with many dreams in both the day and the night. Yet he keeps me close. Grounded in reality.